We originally thought iPhone 4.0 OS would be powering the iPad, but that was quickly seeded out. Now Apple, running on high after their successful launch of the iPad, is going to intrigue us once again with their iPhone operating system. But what new features we expect from iPhone 4.0 OS ? Well the biggest rumor so far has been the hopeful addition of multitasking, which is been the one lacking feature all this time. What will the multitask for iPhone entail ? Apparently it will be a sort of Expose type resemblance It will show the user all of their running programs when they double click on the iPhone’s home button. The jailbreak community has had multitasking for sometime now, and lot of us use it everyday on jailbroken iPhones and iPod Touches. This should be Apples number one addition, especially cause of the competition that Android phones bring with their long time multitasking support. First in line for change is the homescreen. It’s really anybody’s guess on what could change, but the home screen has been one of the few gripes users have about the iPhone. The time has come for Apple to revamp the homscreen, I mean they didn’t even change it for their prized iPad. One feature that has been talked about is the ability to add specific contact names as icons on the iPhone’s home screen. But at the least there is a chance that it will see at at the least some minor changes to the iPhone’s home screen. Better app management is another change that is over due. Some users have hundreds of apps on their iPhone and it gets hard to manage that many. There have been rumors of a “stacks” feature, which is a spring loaded launcher that could possibly be added to the bottom icon dock. Also there is hope for the ability to remove the pre-loaded apps, like the calculator app or the weather app. Lots of users believe they just take up valuable home screen space. One thing we know is that Apple has to come up with a better way to browse through apps. Full landscape mode is another possibility. It’s hard to think that Apple would not want to add full landscape support throughout the OS, especially after the added it to the iPad. If you have been lucky enough to play with the iPad you see how the full landscape support can come in handy sometimes. I think it would work even better on the iPhone, just imagine after typing in landscape mode, you decide to hit the home button, and all your home screen icons are automatically adjusted and flipped correctly. It’s a real nice idea. And to finish up with the predictions, there is a slim chance that we will see Apple offering a free turn-by-turn navigation app. Yes there are navigation apps out, but the good ones are expensive. Google offers it free with Android, and their Google Maps app, there is a chance that Apple could do something along the same lines. What we wont see? We wont see any Verizon iPhone announcement. The event is based around iPhone OS 4.0, don’t expect them to make any real hardware announcement, especially a big one like a CDMA based, Verizon iPhone. Any way we look at it, it’s always good when Apple releases a new iPhone OS. 4.0 could be a monumental release, we thought back in March 2009 that OS 3.0 would be big, and it turned out that it wasn’t really that big of deal. 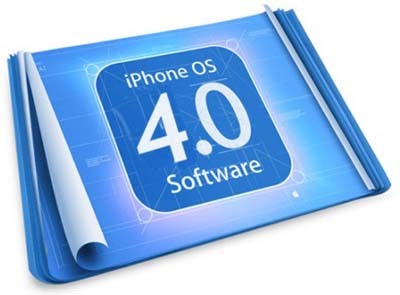 Let’s hope some of our wishes come true in the form of iPhone OS 4.0!